before the end of January each year. Applications for membership taken out after September will be counted as the following year’s membership. Fees may be paid by cheque, cash, Bacs or standing order. 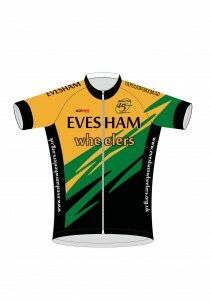 For the latter two, you may use the Evesham Wheelers’ bank details on the downloadable form below to pay by Bacs or set up you own standing order online. Please use your surname and initials as a reference. Alternatively, take a completed Standing Order mandate to your bank and enclose a dated photocopy of it with your membership form. If you pay by Bacs or standing order, a membership form only needs to be completed if your details have changed since the previous year’s renewal.